Always a princess. – 365, 222, originally uploaded by Fluttering By. 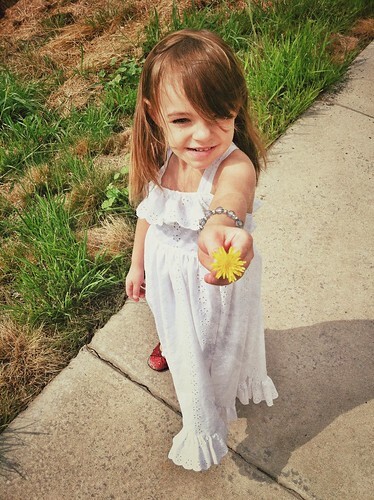 On our walk this morning Molly picked some flowers and sang songs. Last month, I did a swap with a fellow pattern designing mama and she sewed this dress for Molly.